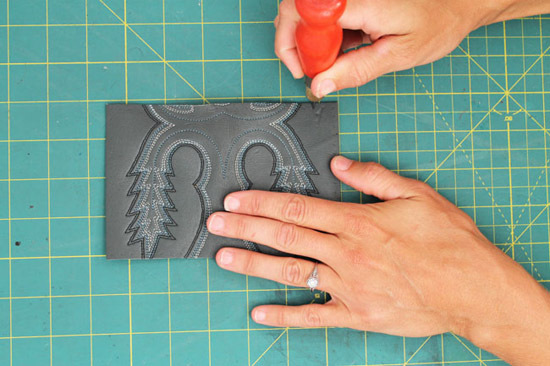 We are thrilled today to share with you another lovely tutorial from the talented Alicia Jepsen of Jepsen LeatherGoods LLC. 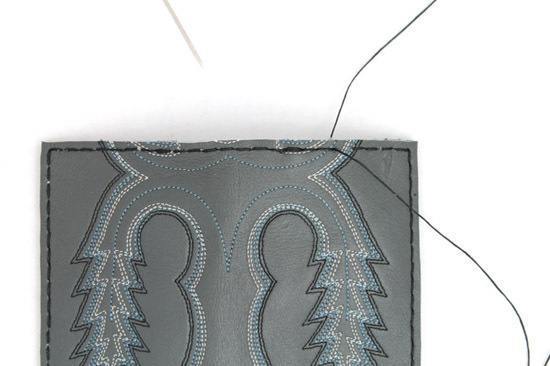 Last month she offered up instructions on how to make a leather passport holder (which we loved), now this time she's making a wallet out of a cowboy boot! Yup, that's right, a cowboy boot! So fun, yes? *Many of these items are available from your local craft store. 1. 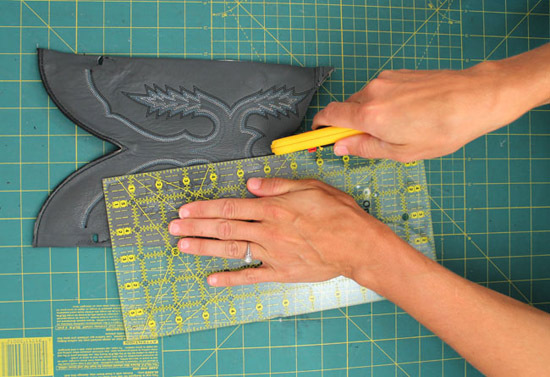 Cut the top part of the boot off. 2. 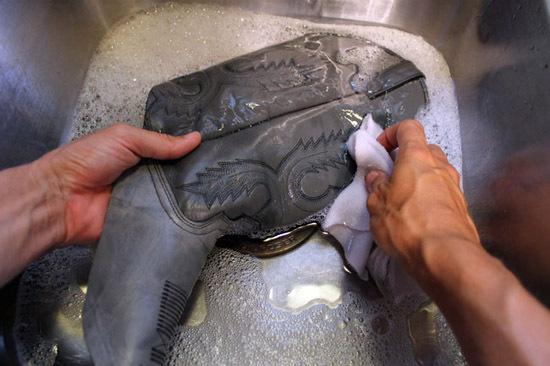 Wash the top part of the boot with dish soap. 3. Hang to dry overnight. 4. 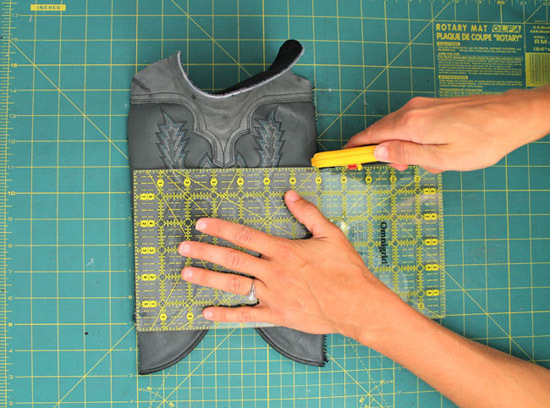 Use a seam ripper to remove the pull straps. 5. Cut up along the side piping. 6. 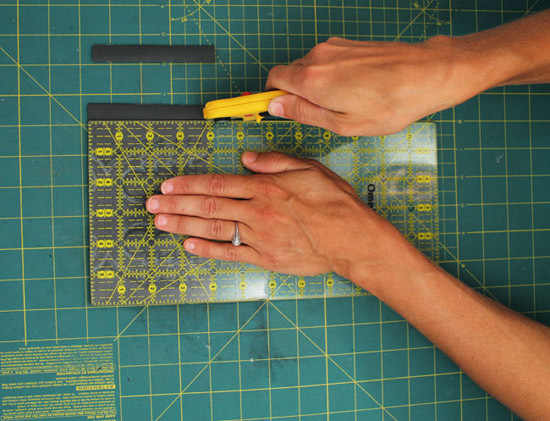 Remove the piping strip. 7. 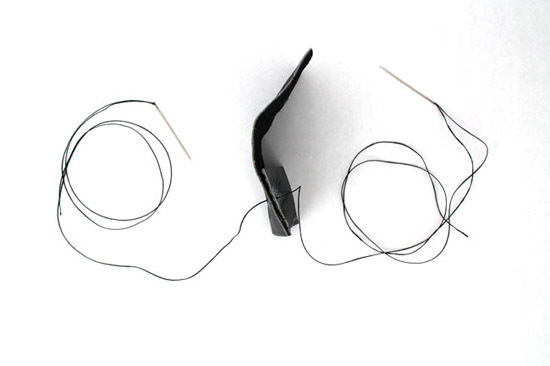 The disassembled boot should look like this. 8. 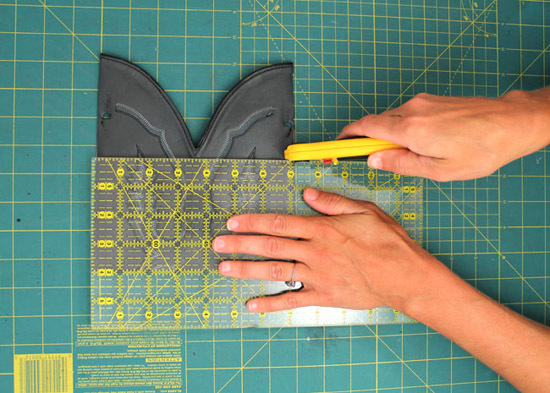 Use the ruler and rotary cutter to cut a 4” by 6” rectangle out of the front piece of the boot. 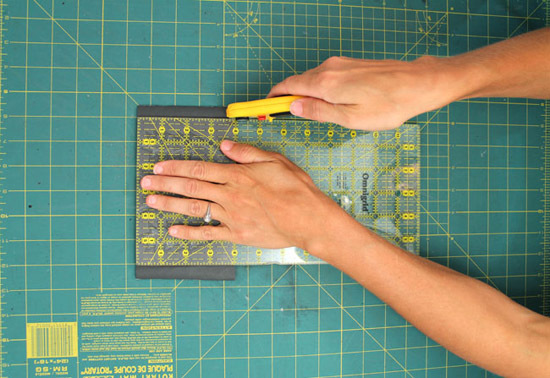 Start with a horizontal cut just above the vamp. 9. 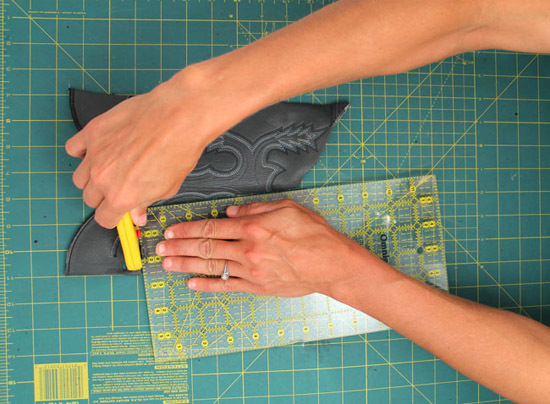 Use the ruler and rotary cutter to cut a 2” by 4” rectangle out of the back piece of the boot. 10. The three pieces should look like this. 11. 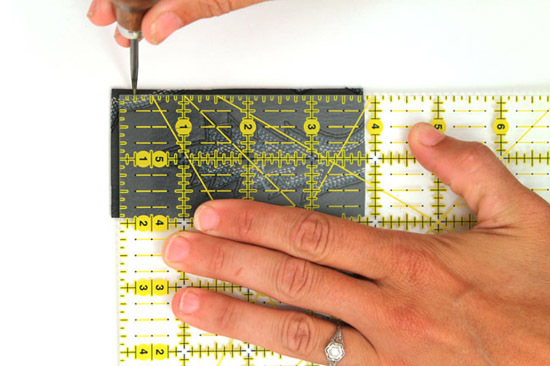 Use the scratch awl to mark a dot every 1/4” all the way around the larger (4” by 6”) piece. 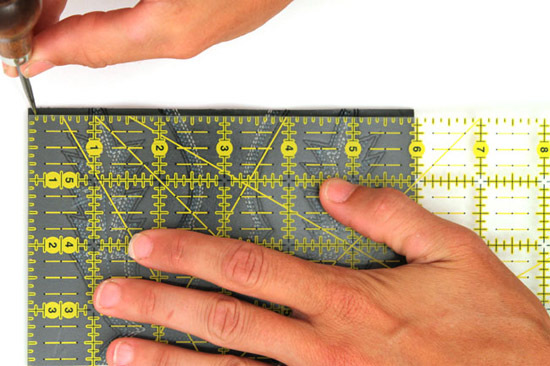 Your dots should be 1/8” in from the edge. 12. Mark dots, in a similar fashion, along three sides of the smaller (2” by 4”) pieces. 13. Pierce the dots with a piercing awl. 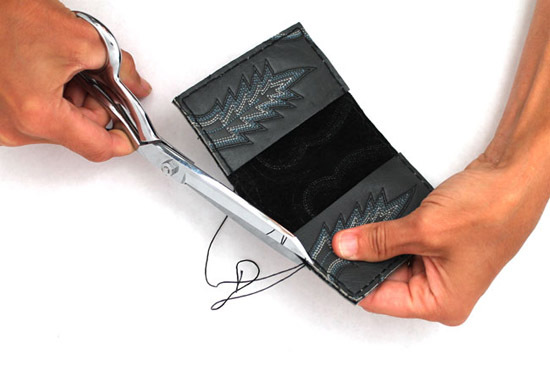 Tip: put the leather on an old phone book to allow the piercing awl to go through the leather easier. 14. The three pieces should now look like this. 15. 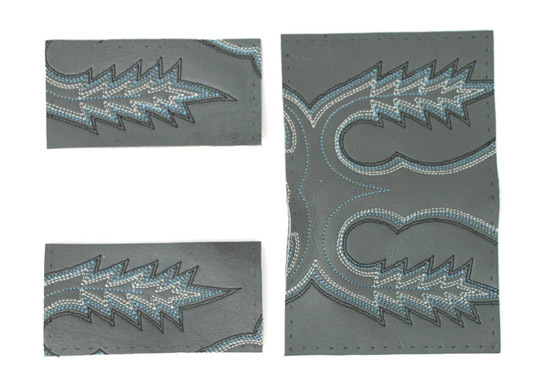 The most common way to sew leather is saddle stitching. Watch a short video tutorial here. 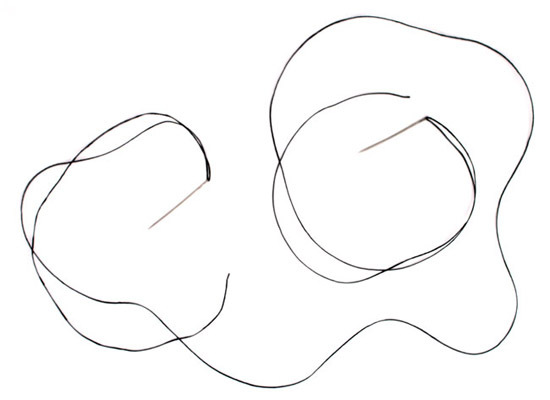 To start, thread a needle on both ends of a 70” piece of thread. 16. 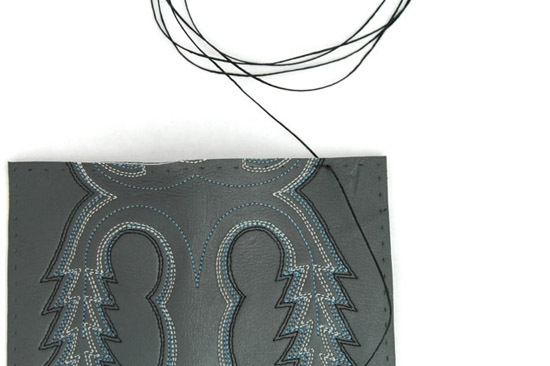 Line up the large leather piece with one of the pocket pieces and insert a needle four holes in from pocket’s edge. 17. 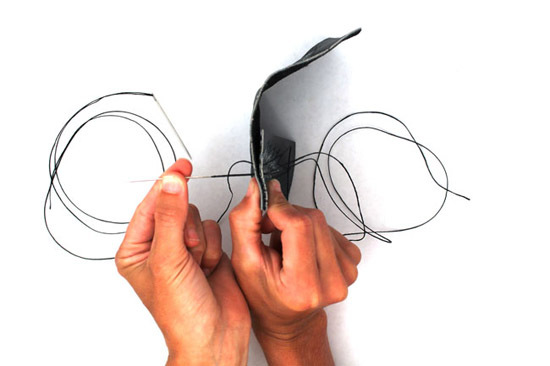 Pull the thread through the hole so you have equal lengths of thread on each side. 18. Insert the needle in the next hole and pull through the hole. 19. 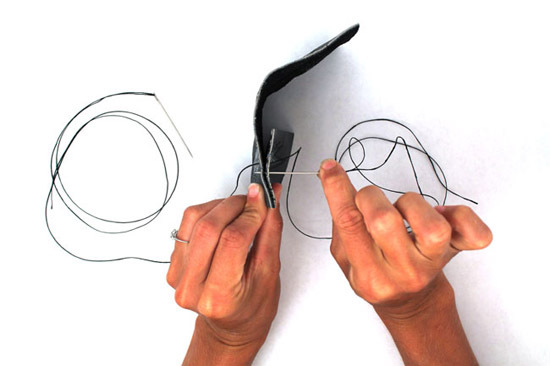 Insert the other needle into the same hole and pull through the hole. 20. 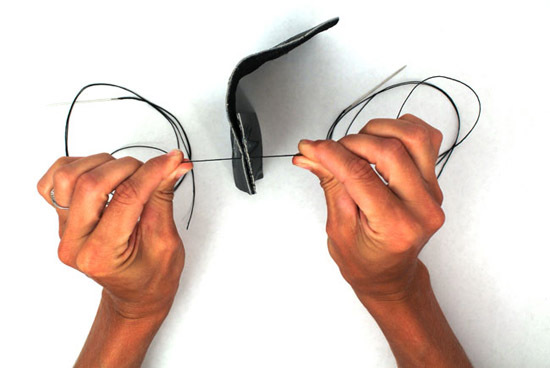 Pull each strand tight to set stitch. 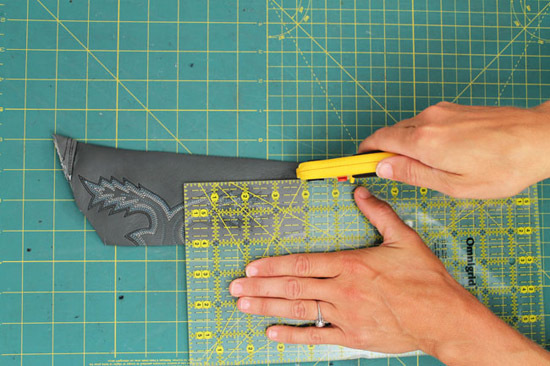 You should now have equal lengths of thread on either side of the leather. 21. 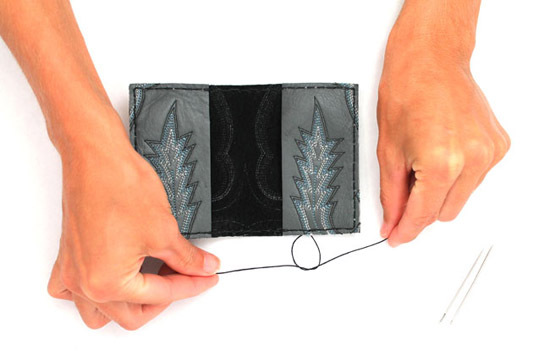 Continue stitching all the way around, making sure to attach the other pocket when you get to the other side. 22. 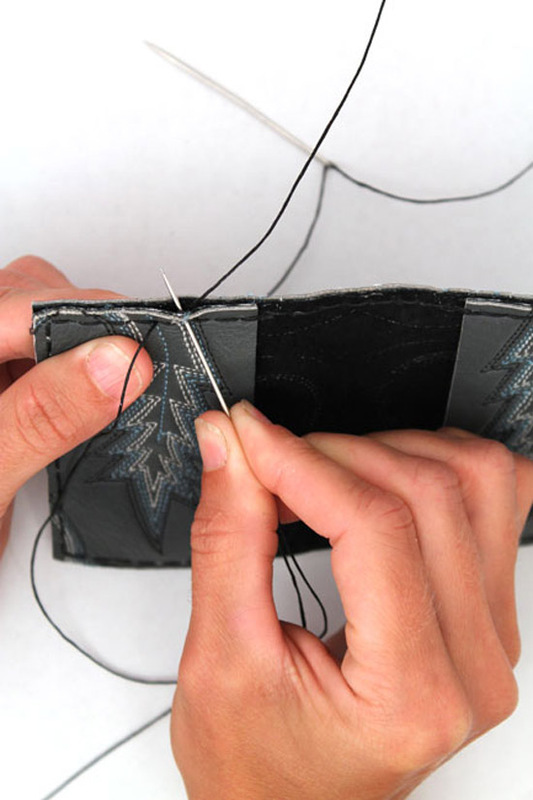 Backstitch over your last stitch and pull each strand of thread between the two pieces of leather. 23. 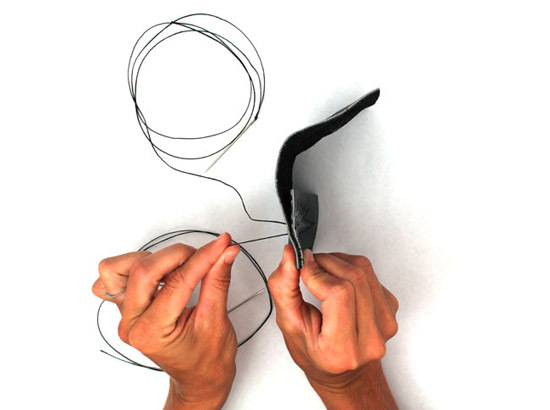 Tie the two strands with 2-3 overhand knots and cut the excess threads. 24. There you have it! Enjoy! how fab is this?! love it! I feel bad for the poor cowboy who only has one boot now. oh, that is soo neat! Thanks for sharing! 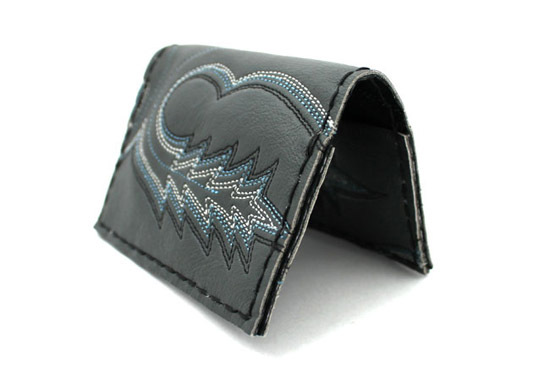 I've never had cowboy boots but if I did I would certainly make this wallet. Great tutorial. 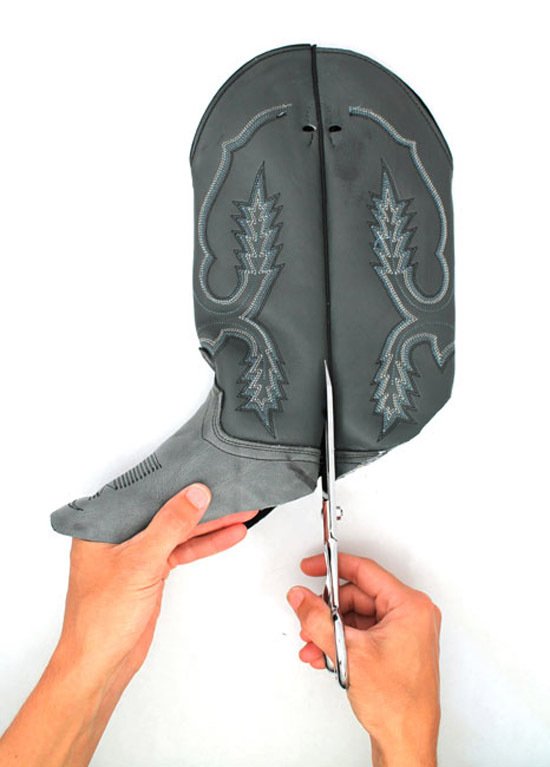 gorgeous grey cowboy boots? I transform all kinds of things.... but sorry, this simply does not make sense....going to label this project "downcycling". Valerie, I agree with you. 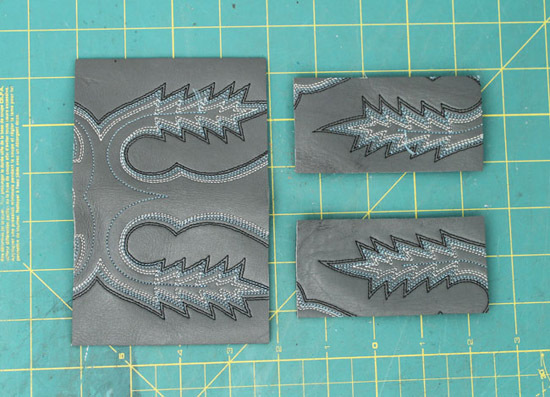 This tutorial would have been more fun if it was about making a wallet from an old and/or unused leather purse. These are more widely available in thrift stores and places like my closet! 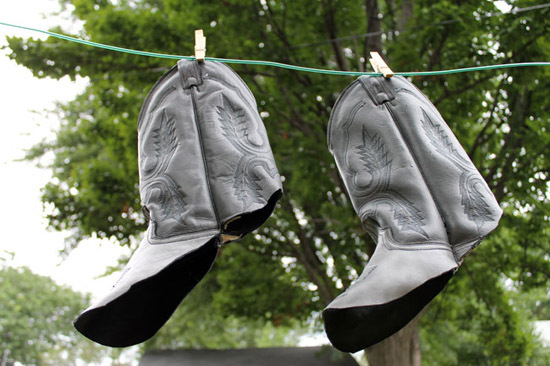 RE: "downcycling" and a lack of cowboy boots - not 'round here! 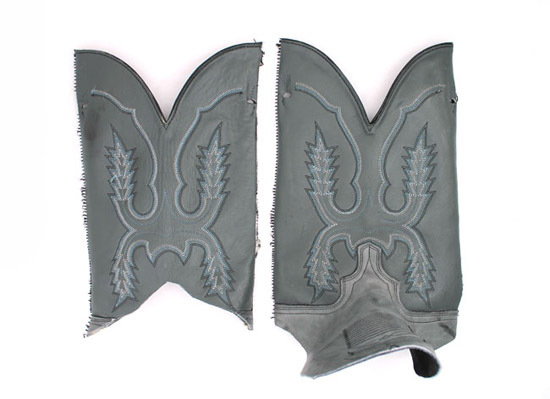 I was looking for a way to use the 5 (yes, uneven number) cowboy boots that I wore out - holes in the soles, or heels so wore out they hurt my back. Stupid. 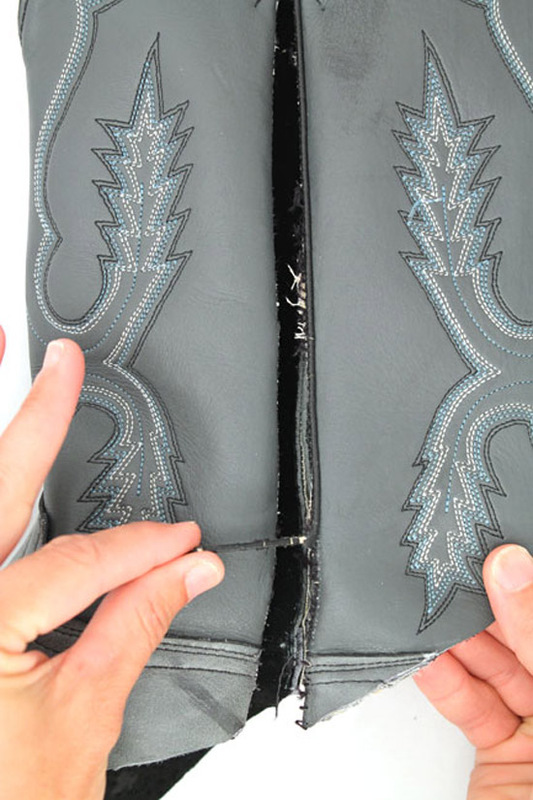 Why ruin a good pair of boots? 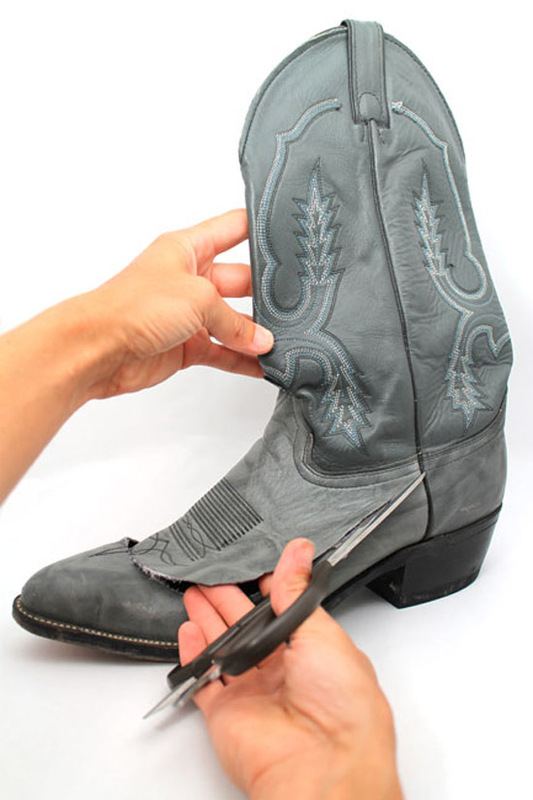 If the sole or heel is shot, then take 'em to the shoe repair and get new soles or heels or maybe both. Thank you SO MUCH for this. I lost my Grandpa years ago and have had a pair of his boots in a keepsake box since then. 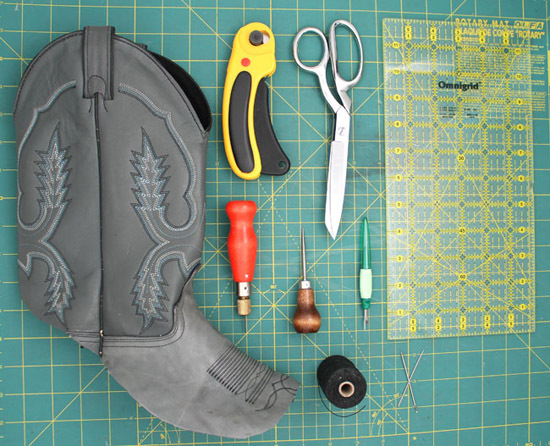 This is a PERFECT way to honor his memory, keep him close, and actually put some use to the boots (instead of having them collect dust).